It’s December, and January isn’t too far away. With national average temperatures for this time of the year being just a hair above freezing, you’d probably rather sit inside with a warm mug of cocoa and a good book than gear up for a walk in the cold air. But if you’ll just take a peek over the edge of those pages, you might see a set of sad, pleading eyes just begging for some exercise and excitement! They can’t read, afterall. While walking your dog in the cold weather can be tricky, it is doable. If you can bundle up and go outside for 10-15 minutes without developing frostbite or getting lost in a blinding snow storm, then they probably can too. Just follow a few guidelines and both of you can safely get some exercise and fresh air. Make sure to take the wind chill into consideration. There is no hard and fast rule of thumb to guide pet owners in when it is just too cold to take their dogs out for a walk, so use common sense to steer you in the right direction. If your nostrils freeze together and your lungs scream in agony as soon as you step outside, turn right back around and grab a rope toy and play some tug-of-war with them instead. 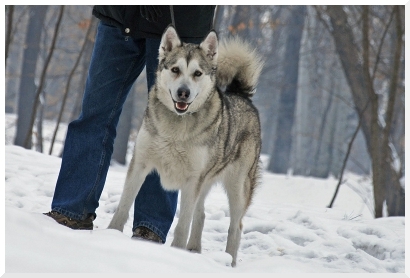 Some breeds are better equipped to handle the cold, like Huskies and St. Bernards, but you should evaluate each dog, taking into consideration their size, the thickness of their fur, age, and other things that might make them more sensitive to the cold such as illness and medications. Take extra care with brachycephalic (short-nosed, flat-faced) dogs like pugs and boxers, who have a harder time breathing in extreme temperatures. Getting some quality winter gear for your pet will go a long way in keeping them protected from the elements, and with proper care they should last through many winters. Do some research before you buy. Ask friends and family about the products they use and search the internet for reviews on the products you find most interesting. Once you’ve got your pup all bundled up, be sure to pay extra attention to any uncovered parts like ears and tails which are more susceptible to frostbite. Is there rock salt or other ice-melting chemicals scattered on the path? If so, make sure you rinse off your pet’s paws and check in between their toes for any remnants after each walk. Ingesting these chemicals can make your dog very ill. Since we’re talking about ice, do your best to steer clear of icy areas so that neither of you end up taking a nasty tumble. Even a little slip can cause a muscle pull or sprain. If both of you wear good boots, you can tromp through a snow bank instead of taking your chances walking over ice patches. While it takes a little bit of extra work, winter walking is a great way to keep you and your pets from being overcome by cabin fever as winter trudges on, and spring seems an eternity away. 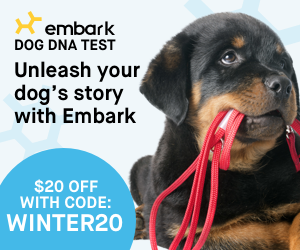 With some extra protection, and maybe a little extra kibble as their bodies burn more calories to keep warm, walks are perfectly okay this time of year.